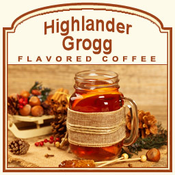 The Highlander Grogg flavored coffee offers a buttery, spicy blend of flavors that will make your mouth melt with a hint of Scotch whiskey flavoring. With 100% Arabica beans, this coffee will be the highest quality of flavor possible � full-bodied and deliciously roasted just for you. If you are looking for a Scottish-inspired flavor, look no further than this 2 calorie cup of coffee. Packaged in a heat-sealed valve bag, this Highlander Grogg flavored coffee will be freshly roasted on the day it ships. 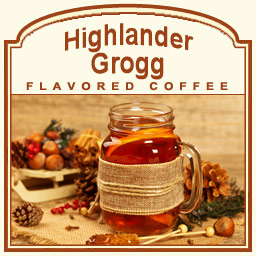 Full-flavored and delicious, you will love the Highlander Grogg flavored coffee and it's unique sweetness that merges with a subtle spiciness. Go ahead, take a Scottish adventure!